Bottom Line Telecommunications', hereafter referred to as BLT, policy is to respect and protect the privacy of our users. This policy statement tells you how we collect information from you and how we use it. 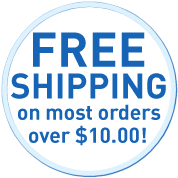 The information you provide when ordering is shared only with companies which perform warehousing and shipping functions for BLT, for the sole purpose of processing your order. BLT does not disclose your information to any other third parties. BLT may disclose your information in special cases when we have reason to believe that disclosing this information is necessary to identify, contact or bring legal action against someone who may be causing injury to or interference with (either intentionally or unintentionally) our rights or property, other BLT customers or users, or anyone else that could be harmed by such activities. BLT may disclose your information when we believe in good faith that the law requires it. BLT does not share aggregate information about our customers and users with advertisers, business partners, sponsors, or any other parties. We hate "spam" (unsolicited email) as much as anyone else, and we do not sell, provide, or make available, your name, telephone numbers, and email addresses to mailing list suppliers, or other similar entities. BLT collects IP addresses for the purposes of system administration, to audit the use of our site, and help identify persons attempting to acquire equipment with stolen credit cards. When guests request pages from BLT's sites, our servers log the guests' IP addresses. Additionally, our servers use your IP address to internally identify you and keep track of your shopping session. While browsing our sites, we do not link IP addresses to anything personally identifiable, which means that a user's session will be logged, but the user remains anonymous to us, until an order is place. When an order is placed, the IP address is submitted with the order, solely for the purposes of tracing credit card criminals. Users should be aware that when you are on BLT's site, you could be directed to other sites that are beyond our control. There are links to other sites from BLT pages that take you outside our service. For example, if you "click" on a banner advertisement, the "click" may take you off the BLT site. 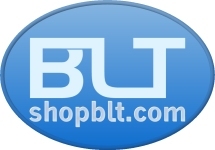 This includes links from advertisers, sponsors, and partners who may use BLT's logo as part of a co-branding agreement. These other sites may send their own cookies to users, collect data, or solicit personal information. Remember to close your browser window when you have finished your work. This is to ensure that others cannot access your personal information and correspondence if your computer is accessible to others or if you share a computer with someone else or are using a computer in a public place like a library or internet café.